A long, long time ago, I was part of a cooking club. The basic idea was someone would host a party, select a theme, and everyone would bring something to fit into that theme. The theme could be an ingredient, a cooking style, an ethnicity, or as in the case of the first party I hosted, a shape — balls! The cooking club held strong for a few years but has since fizzled out as people have moved away, had kids, or became busy with other responsibilities, but ball-shaped food always reminds me of those days. 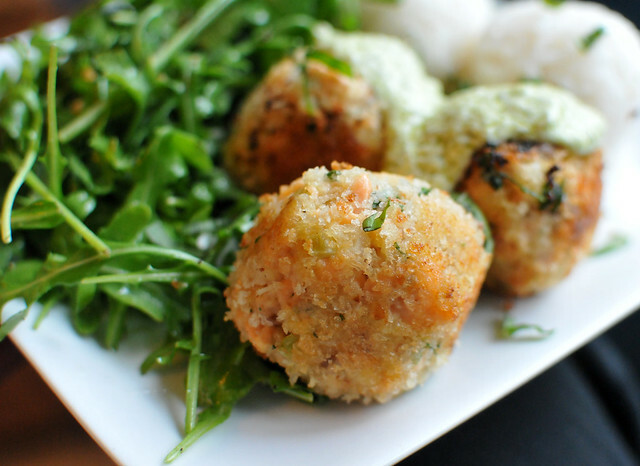 For our Sunday family dinner I thought I’d surprise everyone with a meal of ball-shaped food — salmon and rice balls with an arugula salad. 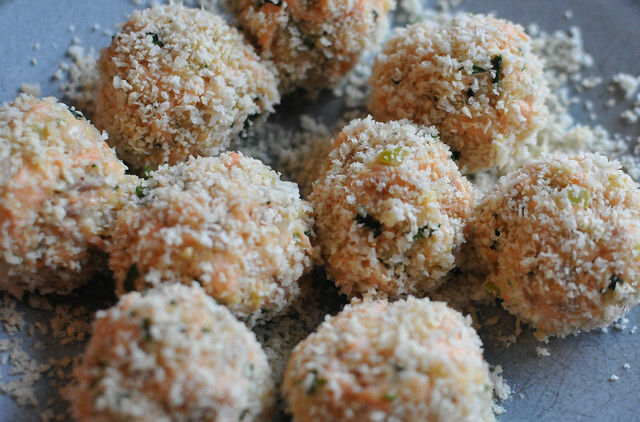 Kids love meatballs, so why not salmon balls! 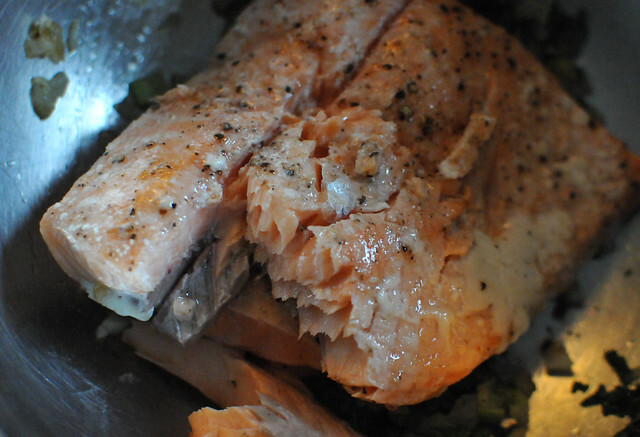 To save time, cook the salmon ahead of time if you can. If not, start it first because you’ll want it to be cool when you shape the balls. 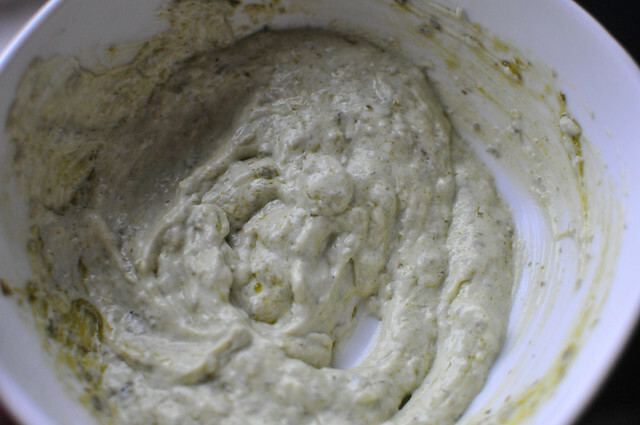 I cooked mine with a little olive oil, lemon juice, salt and pepper in a 350 degree oven for about 15 minutes. 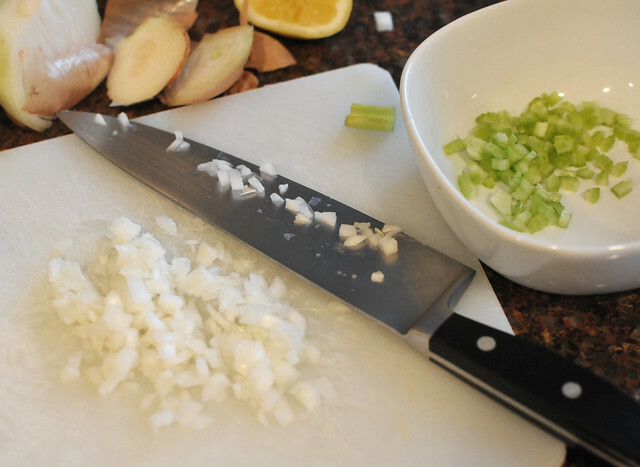 Before you begin assembling the rest of the ingredients, you’ll also want to start your rice — about 1 cup dry basmati (or the rice of your choice), cooked to package instructions. 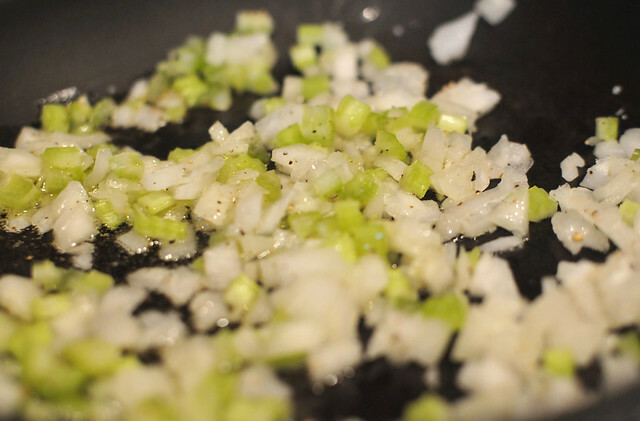 While the rice cooks, finely chop the onion and celery and then saute until soft. 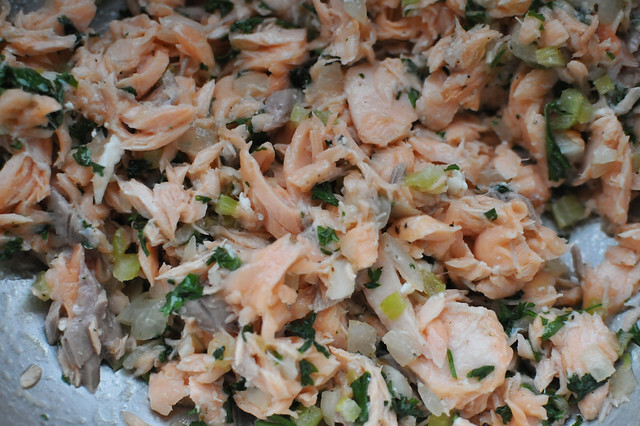 Assuming your salmon is cool, now add to a bowl with the onion, celery, lemon juice and parsley. Add the egg and about 1 cup of breadcrumbs. I used panko, but you can use any kind. This amount of salmon makes nine balls, each slightly larger than a golf ball, rolled in additional panko for a crispy outside. 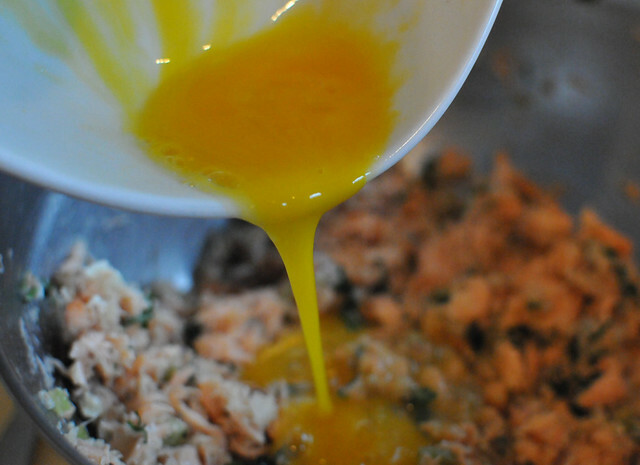 Heat a little oil in a pan and saute the salmon balls until they turn a light golden brown. 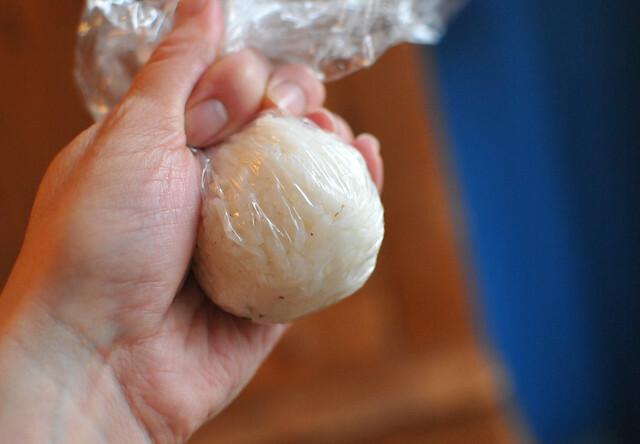 To make the rice balls, simply place about 1/4 cup of cooked rice (can still be warm) in some plastic wrap, firmly shape into a ball and peel away the plastic. (I used to make these without plastic and the rice made a huge sticky mess.) I seasoned the rice with salt and pepper, but add other ingredients if you want more flavor. 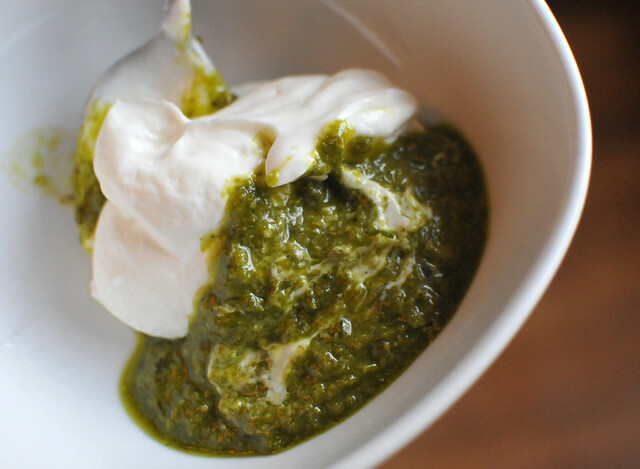 For the sauce, I mixed about two heaping tablespoons of Greek yogurt with an equal amount of pesto leftover from the previous week. I wasn’t sure how this would taste, but I was pleasantly surprised it made a delicious sauce for the salmon balls. It would also be tasty on plain salmon or chicken. 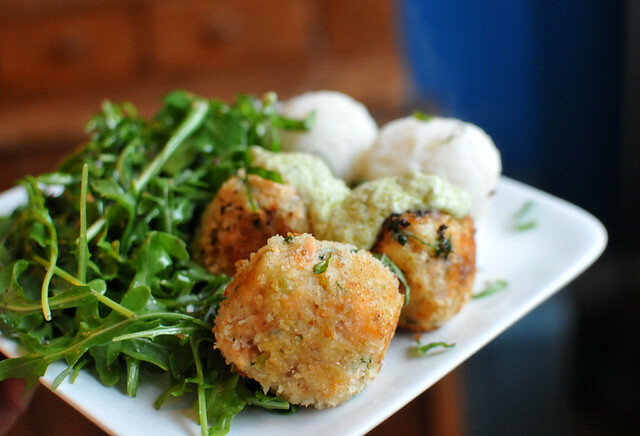 And finally, the salmon and rice balls are ready to eat, alongside a bed of arugula with a light lemon olive oil dressing. Another good thing about salmon balls is you can make them ahead of time and saute right before you eat. Salmon goes well with so many flavors so you can substitute seasonings and sauces. Long live ball-shaped food!